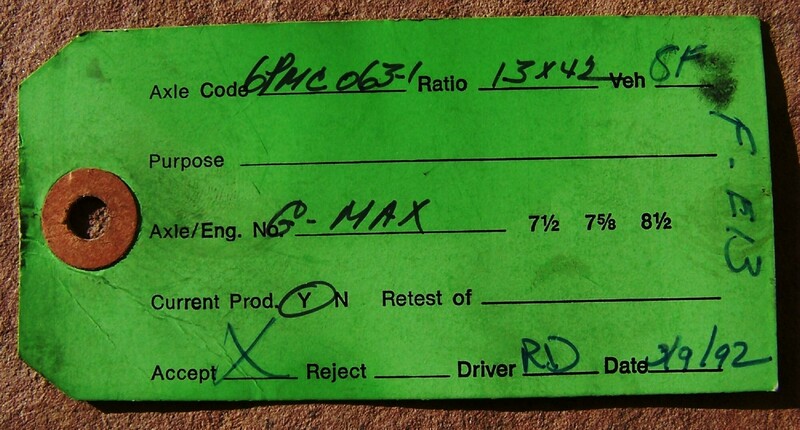 4) Make note of any Codes on the decal, is it listed on the SPID sheet. It would also help to have the Year of the car and whether its a Camaro or Firebird. What does your name mean? Lol. 4:34 now I get home at 5:15. The pictures Midwest has posted of his TTA is an excellent start for referencing decal style/placement. Thats a really nice page, well organized, and a lot of good information. unfortunately thats not the stuff I want, what is on that page is good for someone who really knows little or nothing about the car and wants to get a feel for them. What I am wanting is the nitty gritty, its the little things that go unnoticed by owners, or removed by dealers before they are sold. What really started this was I was gauking over an 87 Trans Am at the Dayton TA nats which appeared to have most of the decals in place under the hood, the little tags that label to the assembly line which part to install. Midwest Muscle added to this with his pics of the decals on the Rims showing the part number and the RPO. 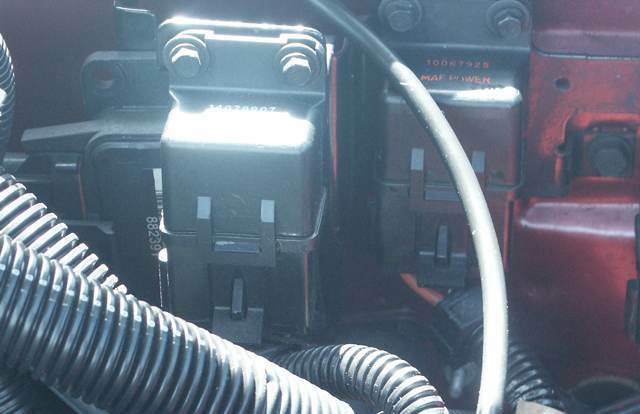 For example did you know that there is suposed to be little decals wrapping the throttle cable, and the cruise cable. 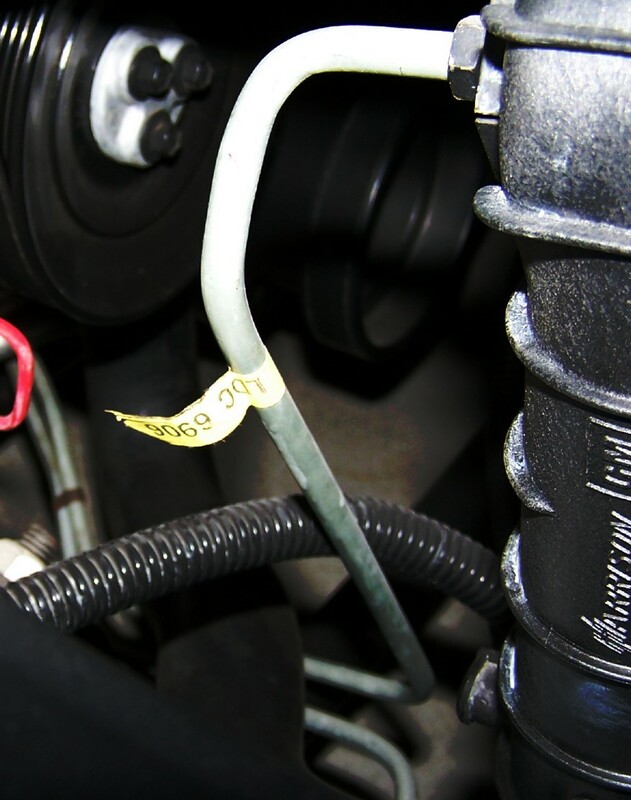 Also did you know that on each of the springs there is a label, also with the sway bars, On the Cold Air box there is alos a decal with a code. Thats what I am looking for. The first pic you can clearly see the 2 decals wrapping the throttle linkage and the Cruise linkage. 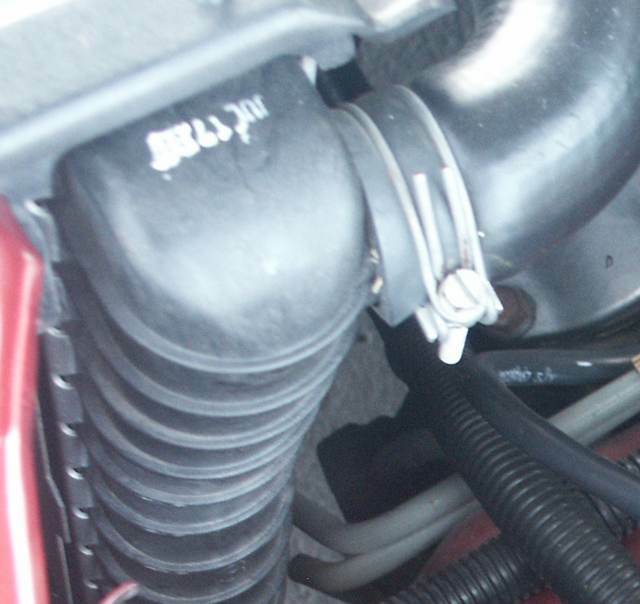 If look closer you also find a part number which appears to be attached to the FUel rail supply tube. 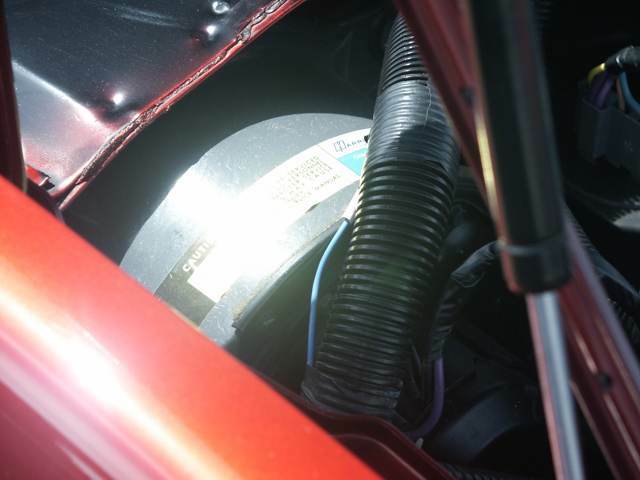 The second pic I would be surprised if any one has missed this one, its for the AC unit, by the blower motor. THere is one on the AC compressor too, but I chose not to post that one. The third pic you can see the date stamp on top of the radiator core end. 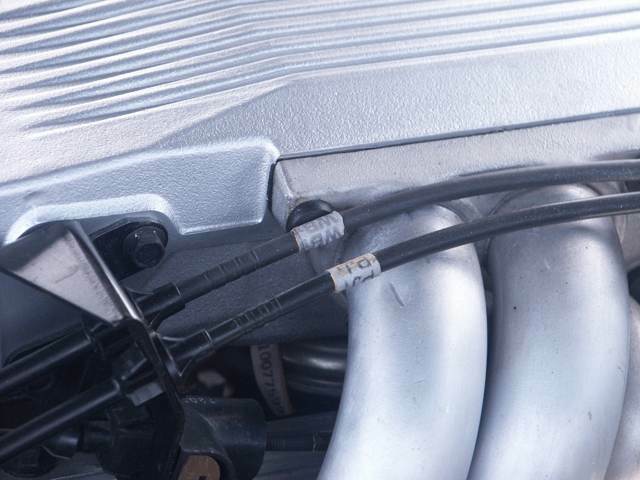 Kind of interesting, but the Upper and lower Radiator tubes also have a date stamp... I had one for my 87, which had a late 86 stamp, but it had been crushed due to an accident when I bought my parts car. I could have used it but I did not figure it was long for life. Last edited by okfoz; 12-28-2006 at 07:58 AM. The second pic, the Brake Master cylendar has a decal on the front, and hiding behind it there is one on the booster. The Third pic, there is a decal on the Air box, hiding behind the Charcoal cansiter. Last edited by okfoz; 12-28-2006 at 07:54 AM. I am kind of skeptical about this one, BUT the company that made the altinator was either Reime, or later called Delco Remie (not sure about spelling). Unfortunately thats the best pic of the decal I have. I believe that is a reman alt.. 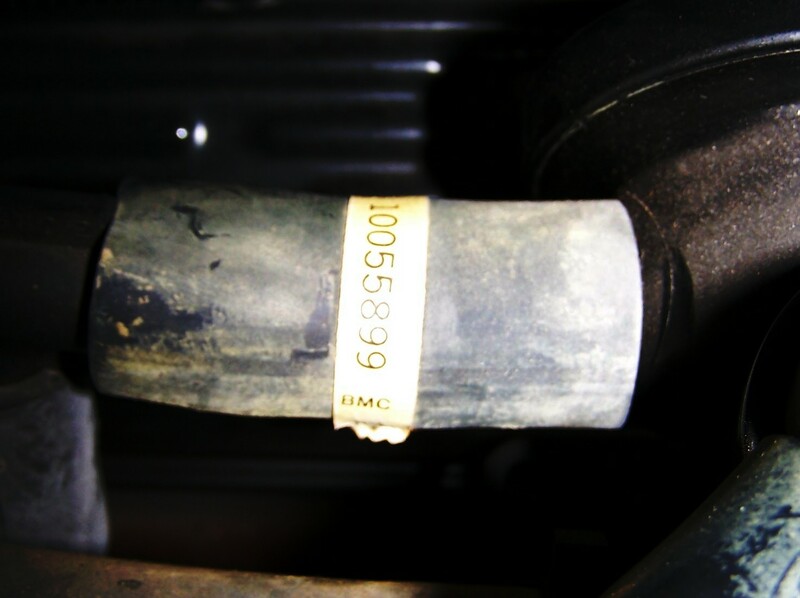 Mine just had the 2 letter code stamped on it from the build sheet on it no decal.. my powersteering had a little sticker on it.. no code just a info decal about not prying on the unit..
Last edited by TTOP350; 10-16-2013 at 02:12 PM. So I'll take pictures of EVERYTHING.....literally. Any sticker writing anything I find....I'll post up. Even if it doesnt look original....you never know. If you look close at the Alt, the First word could be Delco, there appears to be 5 letters, but with small caps. The second word might be Remy as I can see the Y dip down at the end of the word, and there appears to be only 4 letters. It might be the original Alt. Okfoz it's amazing the number of stickers/labels/tags that come on a vehicle from the factory.But then every part has to have an inventory/tracking history.Once upon a time dealers did the prep before vehicles went on the lot,or especially for customer pickup,a lot of these were removed or washed off(now you're lucky if a car on the lot is clean).My '83 Z28 has the remnants of the paper code tags still.I'll have to look closer to see what is left on her.My '95 Jimmy has a label with a bar code on the firewall.And my '73 CST has a SPID on the top inner fender(at least it's more permanent than the console lid).It's odd how GM used them,at least on trucks,then quit using them.And in mid '84 they start using them again. 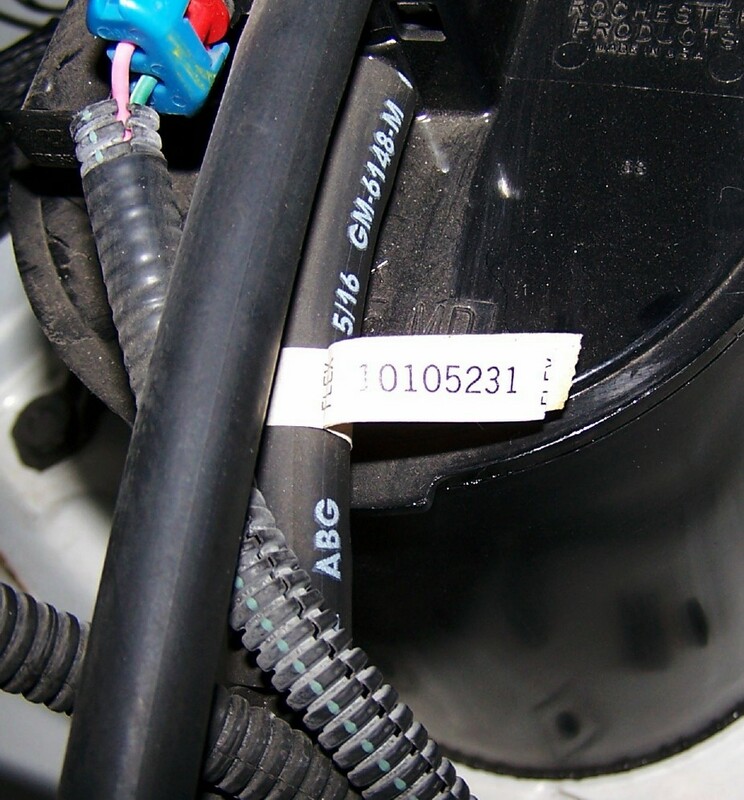 The main reason I think it might be a reman is because I bought a reman alt from the dealer with those markings.. that decal is warranty info I believe. Last edited by TTOP350; 12-28-2006 at 06:55 PM. 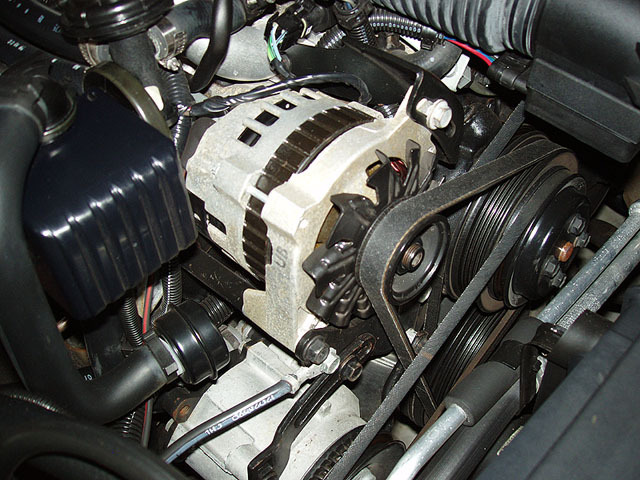 Thats a reman alternator, no question. Welll.... does any one have an original Alt to take a picture of? Here ya go John. You made me take the car cover off just for this pic. If you need more, let me know. yep thats the stamp I was talking about.. It matches the code on the build sheet... I have had rubber stamps made for redoing that kind of stuff..
Axle assembly tag from a 1992 Z28, L98, GU5 3.23 gear ratio (noted on tag as 13 X 42). I guess it should be obvous, but to explain 42 divided by 13 = 3.23, the Ring has 42 teeth and the Pinion has 13 teeth. A few for today, all of which are from a 1992 1LE Z28. 1. 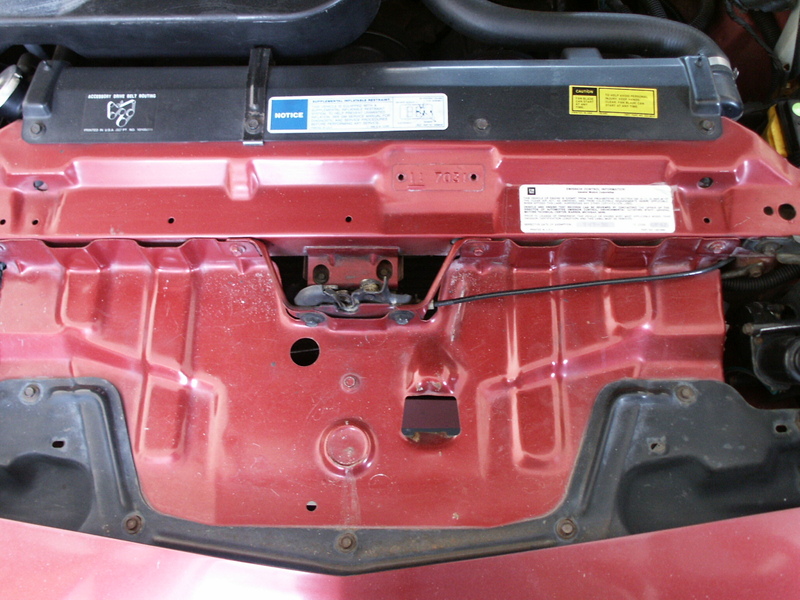 Transmission cooler line at the radiator. 2. Hose to secondary air injection bypass valve. 3. 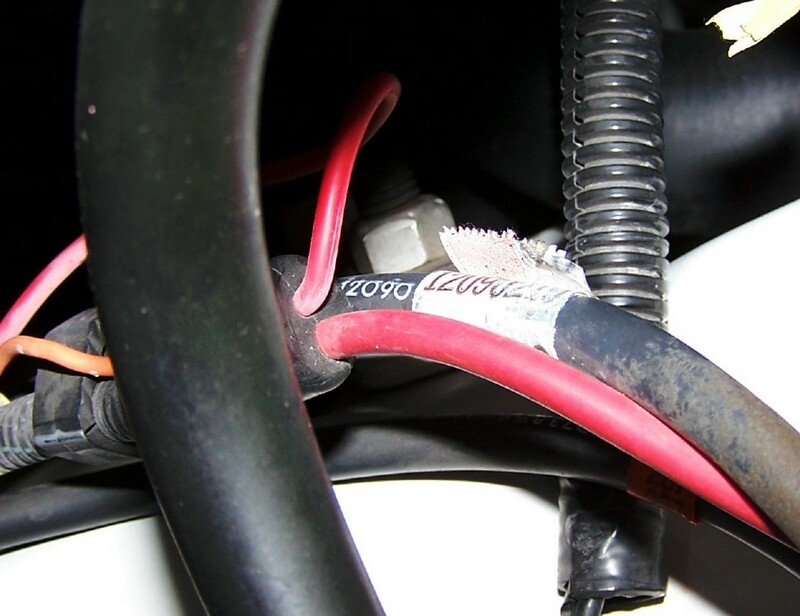 Cable to under hood light. More from the 1992 1LE Z28. 3. Evaporative emissions hose at the charcoal canister. Last one for today. 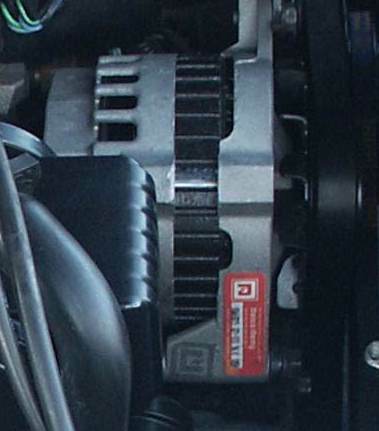 A small sticker on the blower motor assembly housing cover. Engine: THE LT1 SWAP SHALL BEGIN!!!! Maybe I didn't look hard enough here, but is there a site like that for 'birds? 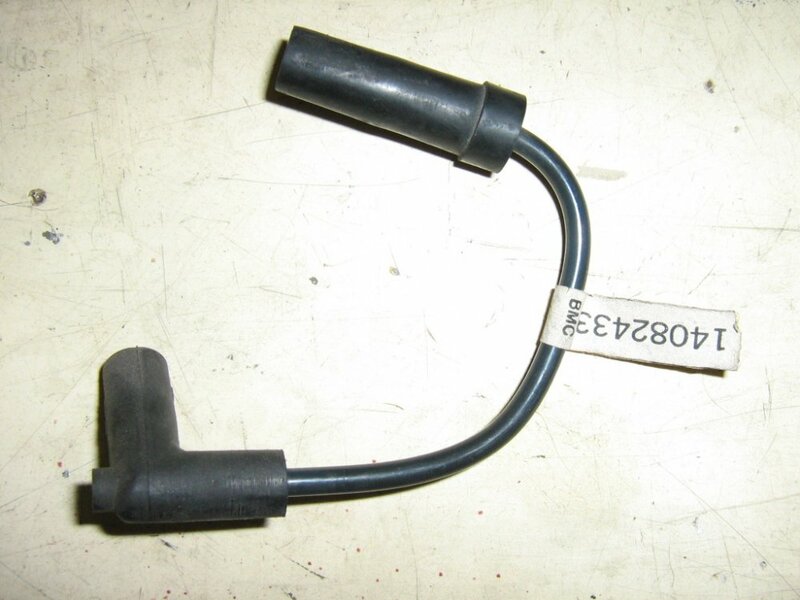 FPR vacuum hose, 89 TPI. BMC, dont know what that is. Printed on both sides, the BMC is on the far end under the 1 seen here. Its exactly 3/8" wide. Are you still interested in these original decals? I have some label pic's of my original '91 TA Convertible but they are too big to post. I am working on some interior items at the moment, so the car is in a location about 30 miles from me. I go there about once a week and would gladly take shots of anything I find that you don't already have in this string. Let me know if you still want submissions. I have two that may be fairly unique. My '91 TA was built around Aug of 1990 and has two decals under the hood. 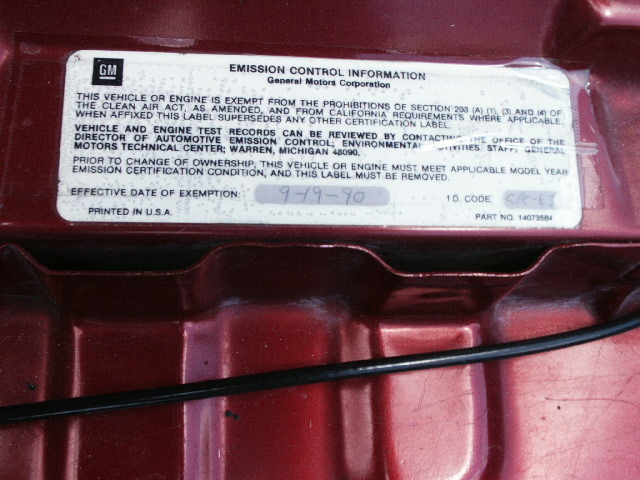 One, mounted on the flat surface to the right of the radiator is an emmisions waiver dated "9/19/1990" that identifies the vehicle as "CPC-E3" (both handwritten in ink on the label). It is white with black lettering about 3"X4" in size. The other is about 4"X6", is yellow with black lettering, and is mounted on the underside of the hood at the front just left of center. It identifies the car as a "CPC Engineering Test and Development Vehicle". It also has boldly printed on it that the label is to be removed before conveying the car to the public. If you have seen anything like these, I would sure like to know. I could get nothing from either Pontiac or PHS. Pontiac had the car for its first 8000 miles and I bought it from them as a "used" car in Feb of 1992. Paperwork shows it invoiced to the dealer by Pontiac via their company auction sales. Don't know if this car was used for emissions testing or as a test vehicle for the release of the 91's as convertibles. I'll capture them and post the images if you would like them or other decals for this string. Are their any labels in particular that you would like to see? I havn't removed anything but some have fallen off over the years. 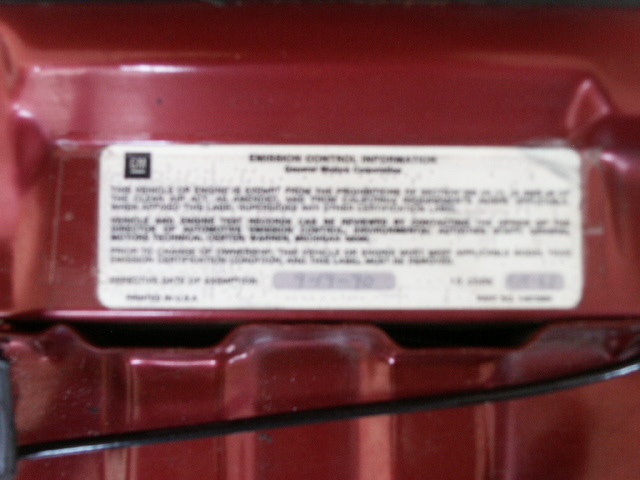 Here are the pictures of the emissions waiver and CPC Test & Development labels from my 1991 TA Convertible. 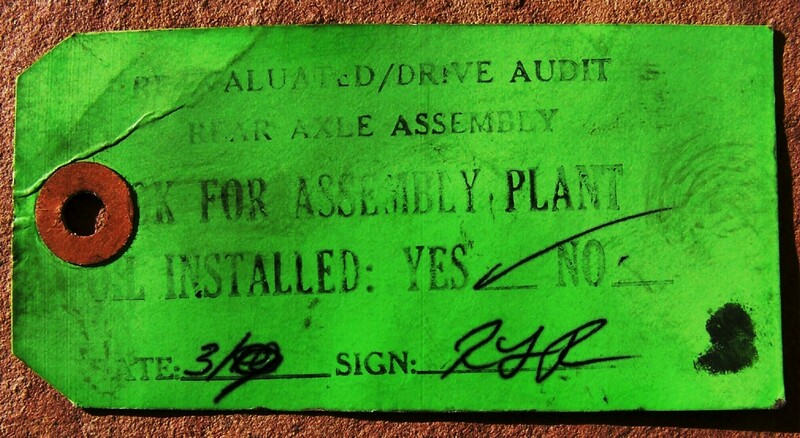 The car was probably built in Aug or Sept 1990 and the date on the ASC door tag is marked Mar 1991. Both decals say that they were to be removed before sale (obviously they were not). Sorry the clarity of the Emissions decal is not good. It basically states that the car, for some period of time, was exempt from emissions standards. It is dated in writing on 9/19/90 and identifies the vehicle as CPC-E3. Can anyone that can help identify their origin or meaning? can you get ones that are not so blurry? I will try to get a better angle and enlarge so the print is clearer. I will not be at my garage until late next week and I will try to take the shots. Finally got a shot you can read. 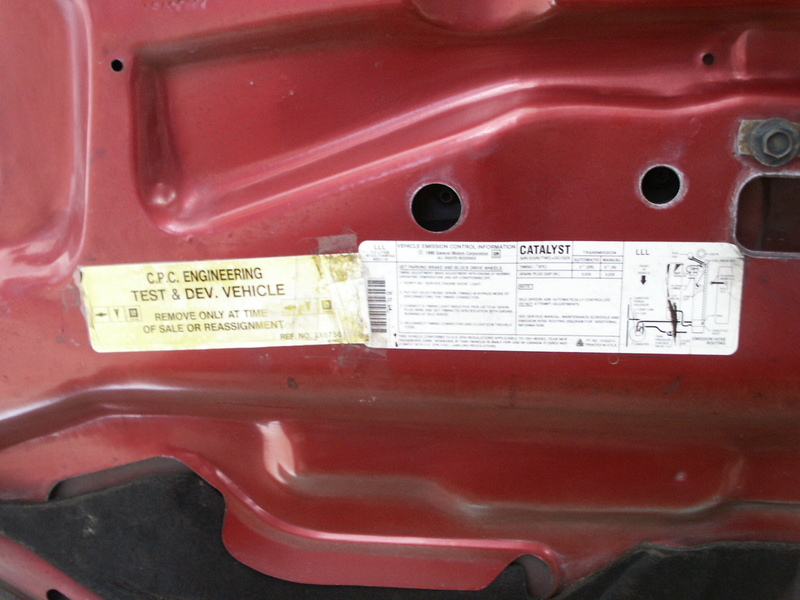 The first is the emmisions waiver identifying the car as number CPC-E3 (lower right corner) and dated 9/19/90 (lower center). Both hand written on the lable in ink. The second shot is the location of the emmisions waiver label (right center of picture below yellow "CAUTION" label). 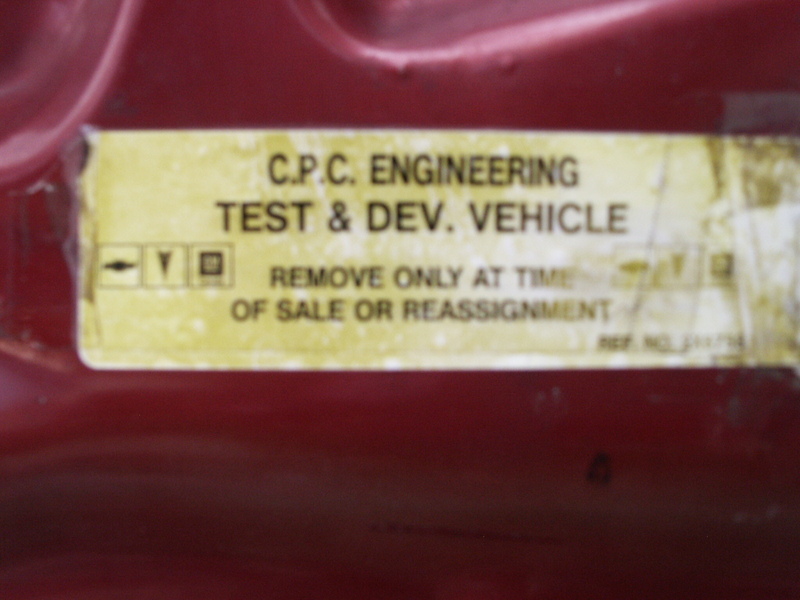 The third is the underhood location of the "CPC ENGINEERING TEST AND DEVELPMENT VEHICLE" label. 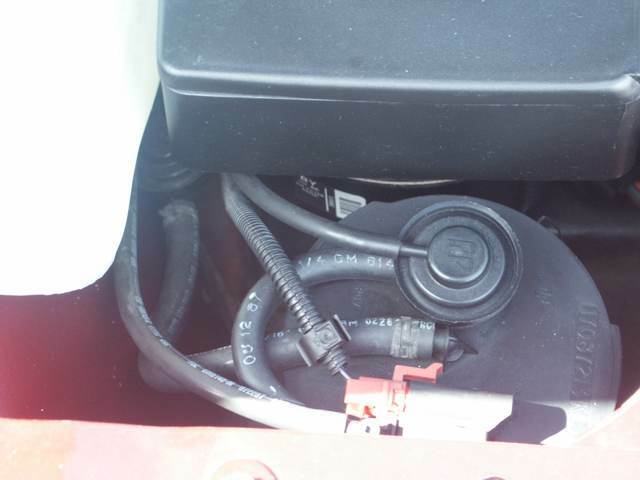 Have you seen either of these on any other cars? Both have GM part nembers. Do you know what CPC stands for? I found another reference to CPC in a different thread that said it was Chevrolet Pontiac Canada, but this is a Van Nuys car by the VIN and converted by ASC in Mar 1991 based on their door label. Really its a neat piece of history, too bad you don't know the full extent of what it was used for. I have a theory but can't prove it. I think that either the car was used to validate emmisions for the new 1991 models or to validate the ASC production process before Pontiac put the convertibles on the market as a factory option. I'm a retired manufacturing/engineering guy. When we were bringing out new models, we would first do a short run of product (5-10 units) that were used for in-house testing to validate processes, fit, and finish. We would internally identify these units as E-1, E-2, etc. With the designation as E-3 and the 9/19/90 date on the label, the timing would fit to be one of the first units converted in the original production run to validate assembly processes with ASC. Unfortunately, I have not found a way to prove this. I found the car in Jan 1992 at a Pontiac dealer that bought it from GM auction sales in Dec 1991. It had 8000 miles on when I picked it up as "used" with full warranty. It was in Pontiac's care from its 1990 build until I bought it. I suppose it could also have been used by a Pontiac exec for the 9 months as well, but then why the labels? Anyway, thanks for taking a look at them. Are there any particular labels you are still looking for? I guess one thing that might help is what is the first 7 digits of your VIN. If it was a test vehicle then it might be a 1G2FW23F... THat would indicate that the car started as a coupe and was converted. If your VIN is 1G2FW33F then that would indicate that it was always intended to be a Convertible. I have one of the Pre production cars, its VIN is for a coupe, so I am thinking that its not about ASC's process, but more for emissions as ASC already had been approved by GM for their process'. Another aspect to your decals and the engine which would support the emissions theory or at least a test car for MPG is the fact it has the LB9 Engine. Since it would be unlikely that GM would allow Pontiac to have anything significantly better than a Chevrolet the LB9 was probably determined to be the top engine for the convertibles, period, thus your engine. Thanks for your thoughts. The car has the 3 code in the VIN, so it was always intended to be a convertible. Strange though, the RPO sticker shows code AD3 which, I believe, is decoded as "window, hinged roof". 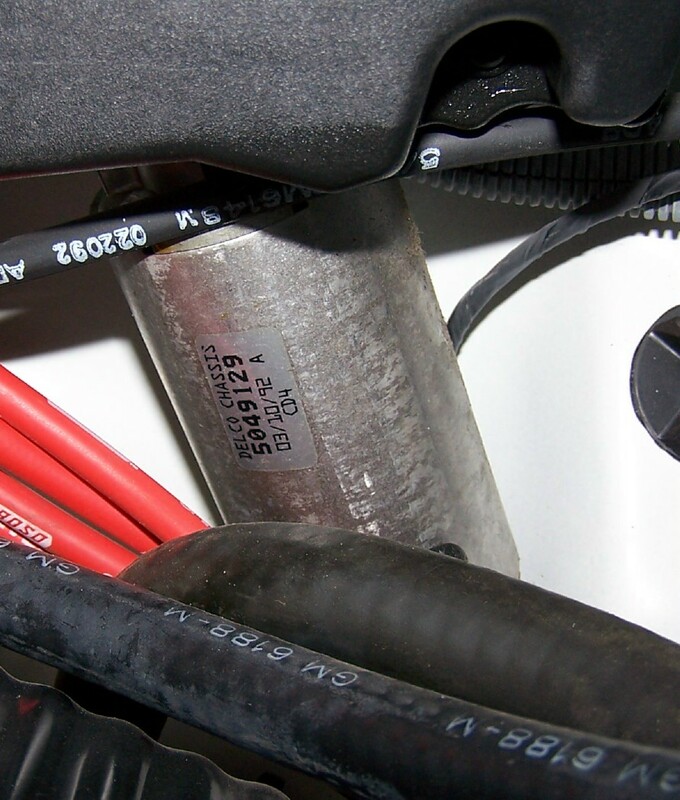 Here's an emissions sticker that I recreated for my 84 Z28. In the upper left hand corner you can see where I have written XKA 5.0 L69. The sticker that I was working off was damaged and I can't make out what should be there so I just came up the other stuff to fill in the blank. Anyone know what should be there? I know the XKA is correct. Last edited by scottmoyer; 10-10-2008 at 08:27 AM. This is from the sticker on my 91 TA (its a 5.0L LB9 car). I was hoping that someone with an 84 L69 would read this and give me the info. I can easily make the sticker myself. I probably just start a new thread asking for the info and see what I get. Actually, I can P.M. some of the guys on this site that I know have an L69 with a 5 speed and see what their's say. Thanks. 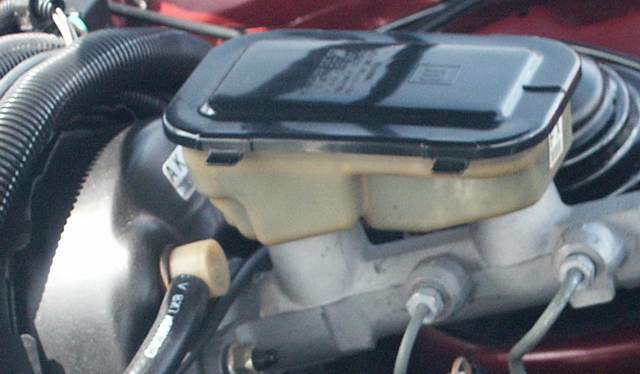 This might be the wrong place to ask this but.. How do you check if the engine in your 87 IROC is the origial ? Where do you check? and what do you compare it to..? Please help! On the Block, on the RH (Passenger) side behind the Alternator 1982-1987 or behind the AC compressor (1988-1992) there is a "Hog" that has some information stamped on it. Including the sequence number of the car the engine came out of. This may sound silly, but what is a "hog" ???? There is probably a better name for it, but it is the term that is refers to pieces on the casting that stick out. That is what my dad always called them. He was a Metallurgical engineer for the special Foundry at Buick. Last edited by TTOP350; 03-09-2009 at 03:59 PM. I'm New here, and not good in English, but i try to ask. My question is: After a new paint job if i want to take back the original decals, and vynils (on the hood bottom and driver side door, etc). Where can i get tham as new or reproduced form? Or how can i save tham? I have an 1991 V6 3.1L Firebird. I will wait for any answer here or PM. You can get some of the Under Hood decals from classic industries - www.classicindustries.com The Drivers side door decal is a little more difficult to come by as they were all car specific with the VIN. I bought some, from a guy, I really do not remember his web site tho... someone please chime in. this might be the one you are referring to.